The simplicity of Spark Hire’s video interviewing solutions has allowed thousands of companies worldwide to connect with great talent and make them a part of their teams. With video interviews, professionals from various industries are better able to gauge candidates’ skills and personalities to ensure they’re the right fit and can successfully fill their companies’ open positions. In our newest video, “Video Interviewing Software”, we highlight the benefits our solutions can provide you to help enhance your talent acquisition strategies. In today’s fast-paced hyper-connected world, traditional interviewing methods have fallen behind the times. Scheduling conflicts, lack of personalization, and no collaboration leaves hiring professionals feeling frustrated and disconnected. Spark Hire eliminates these frustrations with a simple video interviewing platform. It helps hiring pros at over 2,000 companies become more efficient and effective at what they do. It’s fast and easy to get started. Create your account, customize your candidate experience with your company’s branding, and start inviting candidates in just a few minutes. 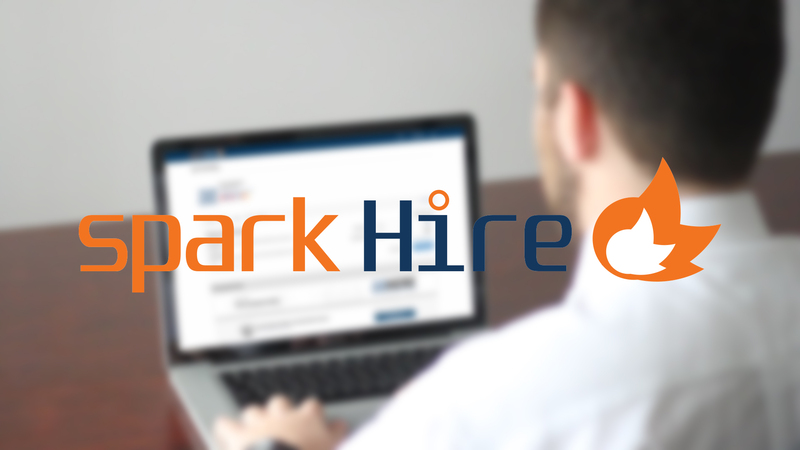 With Spark Hire’s one-way video interview, gain more insight on candidates in far less time than a phone screen. Write or record a series of questions you want your candidates to answer. They’ll record their video answers on their own time using a webcam or the Spark Hire mobile app. Eliminate scheduling conflicts and connect with candidates no matter where they are using Spark Hire’s live video interview. These real-time interviews are automatically recorded and stored in the cloud for you to access 24/7. Since your video interviews are recorded, you’ll foster better collaboration when you share them with other decision makers. They can provide you with feedback on a candidate by rating and commenting on a completed interview. Spark Hire connects you with the best candidates, every time. Without the headaches. Sign up on sparkhire.com to start video interviewing today!